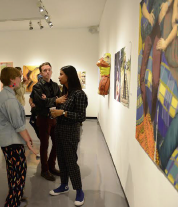 Experience the very best of the Art and Design Department, featuring juried selections from the concentrations of Studio Art, Photography and Video, and Graphic Design. 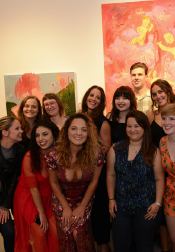 The very best of the Art and Design department, featuring juried selections from the concentrations of Studio Art, Photography and Video, and Graphic Design. Learn more. This show is where we get to witness the culmination and refinement of the great variety of skills that are taught in the Cal Poly department of art and design. Learn more.